Since summer is nearing its end, savor the last few weeks of warmth by hosting a garden party or backyard barbecue. Even though the sun is setting earlier, Hortons can help you create an inviting glow that will keep the party going. 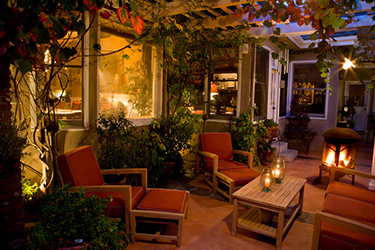 If you have a patio with an overhang, you can use hanging lights to illuminate a permanent bar or seating area. For more versatility, invest in a few strands of colored string lights like you would use on your home during the holidays. By weaving these through your outdoor space, you can create a festive environment with white or colored bulbs. For your deck, install lights designed to illuminate the struts of the wood to create the fun illusion of standing on a stage. You can pair these with path lights to guide your guests’ way to and from all the action. You can also use lighting accents like small, tabletop lanterns to create a focal point in the middle of a seating area, hanging lanterns to mimic the glow of the moon. Whatever effect you choose, your mood lighting to keep the spirit of summer alive for your guests, making sure your party becomes a highlight of the season. 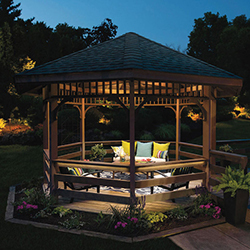 For your outdoor lighting needs, stop by Hortons to see our hanging lanterns, deck lights, accents and more!